Posted by Lorea Thomson on Saturday, March 12th, 2016 at 9:19am. Come play in the dirt and help grow Jupiter’s community garden. Get your hands dirty. Learn about the area community garden, grow your own vegetables and meet new people. 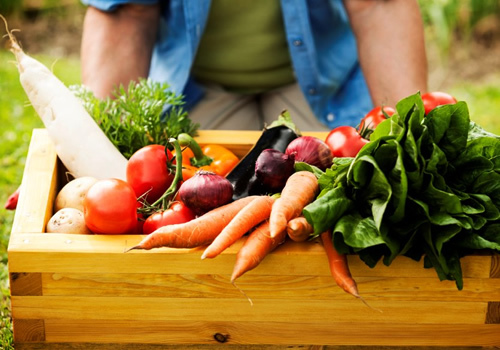 If you have a green thumb but you do not have room to grow your own organic vegetables, you can grow your own organic fruits and vegetables in a Jupiter community garden. It contains 28 plots including a children’s garden and all organic – organic fertilizer and compost, organic seeds when available, organic pesticides! A community garden is a piece of land gardened together by a collection of people. The purpose of the garden is to provide “fresh products and plants, as well as satisfying labor, neighborhood improvement, sense of community and connection to the environment.” The local government or nonprofit associations in trust own most community gardens. The Abacoa Community Garden, which grows fruits and vegetables using organic and sustainable gardening principles, features a Sharing Garden, Individual Plots and a Children’s Garden. Everyone is welcome to join - residency in Abacoa/Jupiter is not required. The garden is nestled within the Abacoa community. As a member, you can participate in all garden activities and you may assist on a committee of your choice. The community of Abacoa organizes the plot and activities. • Produce Sharing: An opportunity to share in the fruits of your labor, literally! • Summertime Sunsets at the Garden (Wednesdays, late afternoon to dusk): A mid-week break to get outside with friends and do a little digging ... the perfect way to reset and finish your week strong! • Amazing Saturday Mornings: Saturdays are a relaxed time to stop by the garden, see what is growing, learn from others, and help with maintenance activities. • Wonderful Wednesdays: A mid-week break (late afternoons to dusk) to do a little digging and see what is growing. So, if you are interested in getting outdoors and showing your family where real food comes from please contact Abacoa P.O.A. at 561-622-8017 or CLICK HERE for the “Sharing Garden Membership Agreement”. Come play in the dirt and help grow Jupiter’s first community garden!